I know this might be old news for some of you, but I think it is really worth mentioning. What is great is that it is completely cross-platform and the application is awesome for watching online streaming videos. There is also a really good selection. You can get more info or download it here on Adobe's website. It is possible to change the arrows of the scroll bars so they look more like they do on Windows. In the Appearance pane of System Preferences, you can change the arrows so they are "Together" or "At top and bottom". 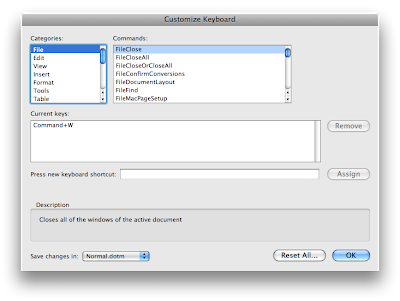 Handbrake is one of my favorite Mac freeware. When you extract a DVD with Handbrake, you can choose which audio track you want to extract and add to the resulting QuickTime video. It selects English by default, but what if your native language is not English and you would like another language as the default language. It is possible to change that in Handbrake preferences, under Audio. You can get Handbrake here from MacUpdate. By default, when you click on the scroll bar, it scrolls up or down by a page. It is possible to change that so that it scrolls up or down all the way to where you clicked. You can simply change it in the Appearance pane of System Preferences. It is the "Click in the scroll bar to:". The choices are "Jump to the next page" or "Jump to here". A new utility was just released that adds the possibility of controlling iTunes from the menu bar. It is called iTunesMenu. It might not be entirely stable yet, because it is still in version 0.1. It also adds the possibility of enabling Growl notifications and setting hotkeys for Play/Pause/Next/Previous/Volume/Quit and Launch iTunes. You can learn more about iTunesMenu or download it here from MacUpdate. I have been using WhatSize for cleaning up my hard drive since a while, but if you don't have it, there are alternatives. One that works well is Disk Inventory X. It has a very nice graphical interface, but one thing that is not as good as WhatSize is the time it takes to load Disk Inventory X. It takes a while to calculate the size of files. WhatSize also calculates sizes, but it lets you start going through files while it does the calculations. 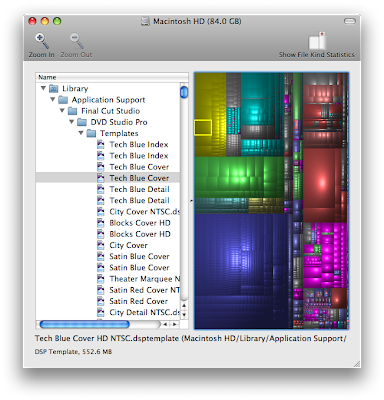 You can learn more about Disk Inventory X or download it here from MacUpdate. I am using Twitter more and more and it is great on my iPhone, but using the website is not as great. I now finally found a widget that makes this so much better. It retrieves the feed and it lets you quickly update your Twitter account. 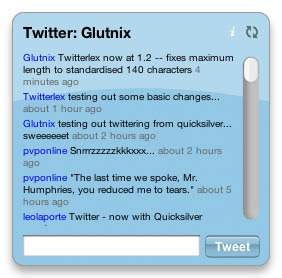 You can get the widget called Twitterlex here on MacUpdate. For each file type, OS X has a default application that it uses when you double-click on one of these files. I probably mentioned one or two ways of changing that default application, but I think that this is one of the easiest and most efficient way. You simply have to select a file that has the extension that you want to make the change for and press "Command - I" or click "Get Info" in the Finder. The interesting section of the Get Info window is the Open With. From there, you select the new application that you want by default. It will only change it for that specific file, but you can apply it to all by clicking on "Change All...". All the new models of MacBooks and MacBook Pros that came out in February don't include an Apple remote. I really don't mind, because I didn't use it much on my Macbook. When I got a new Mac in the past, I always paired the remote to avoid having my Mac controlled by someone nearby who has an Apple Remote. With these new Macs, there is no remote to pair. The best way that I found to avoid having Front Row launch anytime someone uses an Apple Remote is to check the "Disable remote control infrared receiver". The checkbox is in the Security pane of System Preferences. I got a new MacBook Pro today and it has the Exposé button that is now used on all new Macs. Instead of being F9, F10 and F11, all the features are on a single button, in my case, F3. What is amazing about this button is that it also lets you quickly access Exposé & Spaces preferences. The shortcut is "Option - F3" (or whatever single button is used for Exposé on your keyboard). 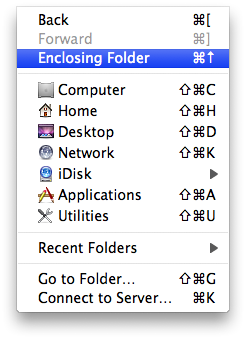 This is a very quick way of navigating through the Finder. Instead of working like "Back", which brings you back to were you were before ending up in this folder, it brings you back to the enclosing folder. The shortcut is "Command - up arrow". "Command - down arrow" basically does the same thing as "Command - O". 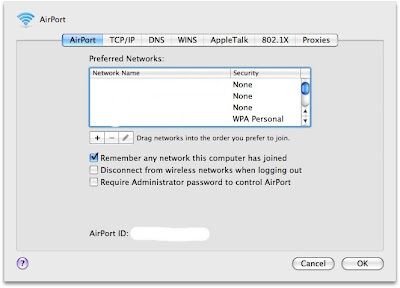 Setting up a Mac as a server on your network! If you want to use a Mac over the network or for speeding up rendering, you might want to run it without anytime hooked up (no display or keyboard and mouse). The problem is that by default, when you start an iMac or a tower without a keyboard/mouse hooked up, it opens bluetooth setup, trying to find a wireless mouse/keyboard. It is possible to disable this, however, in the bluetooth preferences. 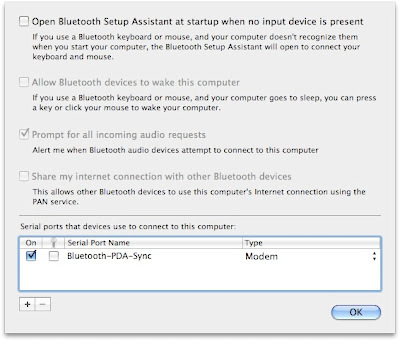 You just have to uncheck "Open Bluetooth Setup Assistant at startup when no input device is present" in the Advanced section. Coverflow in FCP and Motion! I actually heard about this on MacGeneration.com and I thought it was just too great not to talk about it. 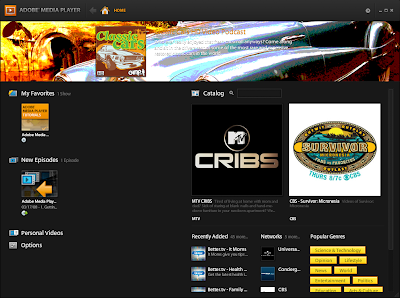 A lot of videos and websites are looking for ways of implementing the Coverflow look. It is one of the big reason why I like BannerZest so much. 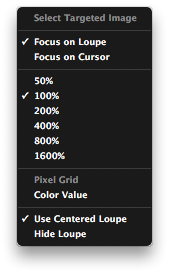 A free plugin called CoverFlux adds this capability to Pro Apps like Final Cut Pro and Motion. Of course, if you don't already own FCS, it is a big investment for only this, but for FCS users, it is an awesome new feature. I haven't had the chance of trying it out yet, but it looks truly wonderful. I am actually surprised that a plugin like this is free, I think it is worth a lot. 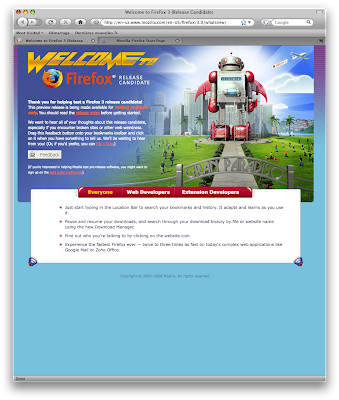 You also need to install FxFactory to make it work, but it is a free download on the Developer's website. More info and download here on the developer's website. Thanks for the tip MacGeneration. A great tip submitted by Nathan DiGesare. It is possible to set a schedule for your Mac to start up, wake up, sleep or shut down. 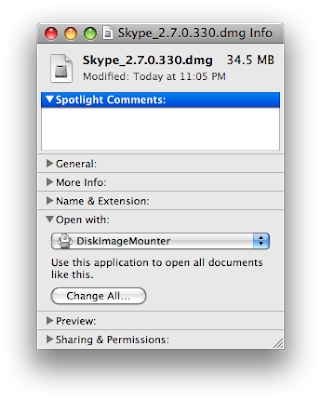 It is done in the Energy Saver pane of System Preferences. The "Schedule" button is located in the lower right corner. 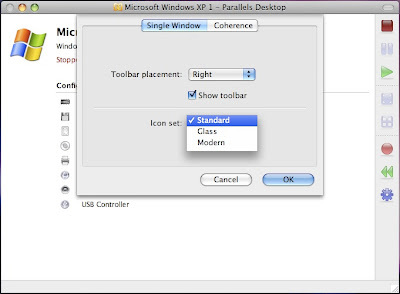 Changing the look of the toolbar icons in Parallels! 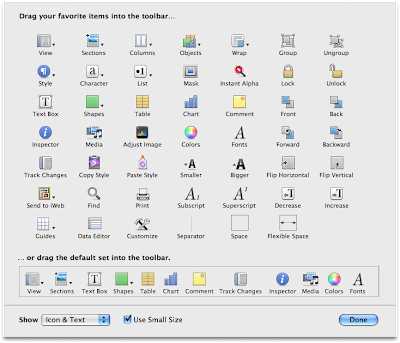 It is possible to change the look of the toolbar icons in Parallels Desktop. To change it, you have to go to the View menu and choose "Customize...". From there, you will be able to select whether you want the Standard, Glass or Modern look for the icons. There is a very cool third-party application called zonEnergy that is really awesome for watching web videos. It lets you quickly modify Energy Saving preferences to disable display sleep. Even better, it actually detects if you are on an online video website like YouTube or Metacafe and automatically modifies the settings in this case. You can learn more about zonEnergy or download it here from MacUpdate. In both Microsoft Word and Apple Pages, there is an option that will let you copy the style from a part of your document to another part. 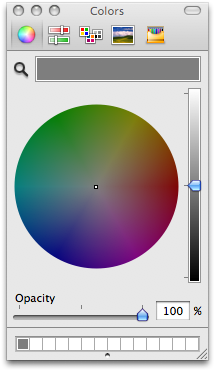 In Word 2008, it it the "Format" paintbrush that is in the upper toolbar. In Apple Pages, you can add the option called "Copy Style" and "Paste Style" by customizing the toolbar. 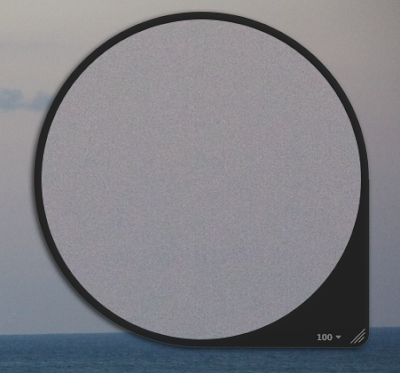 I don't really understand why, but saving out a JPG with Photoshop at "best" quality creates a JPG that is twice the size of a JPG at "best" in Pixelmator. The difference is usually a few kilobytes, but these few kilobytes make a huge difference for your bandwidth usage on the web. It is also very important if you are creating a "mobile" website. 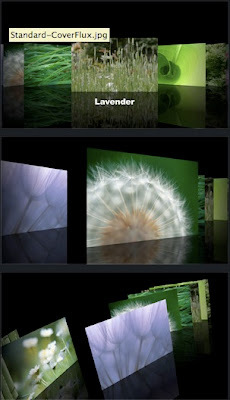 I often do work in Photoshop (for flexibility) and reopen and save in Pixelmator to save space. If anyone knows why there is such a big difference between Photoshop and Pixelmator, please post about it in the comments. I don't want to post too often about applications on sale, but that is really one that I think is great. It is Path Finder. It is definitely not for everyone, but if you are looking for a better Finder, that is it. It is basically a Pro Finder. One thing that really makes this awesome is tabs. I really don't understand why the Terminal has tabs and not the Finder. It is 43% off today, at $19.99 (retails at $34.95). More info about Path Finder here. 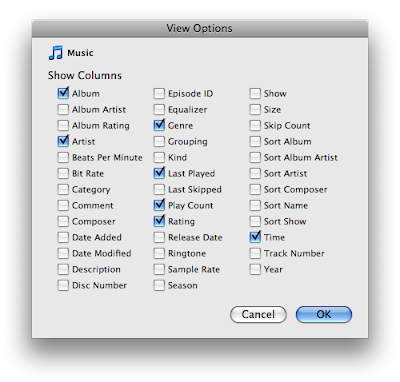 Just like in the Finder, Command - J brings up "View Options" in iTunes. It lets you select which columns you want to have displayed. 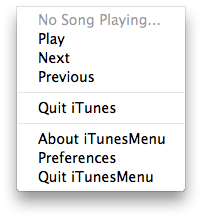 The "View Options" will vary depending on where you are in iTunes when you load it. Wouldn't it be great if Spotlight would also search for files that are in zip files? 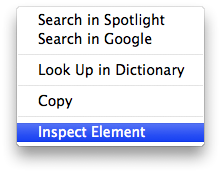 It is possible to do so by installing a plugin that adds this to Spotlight. It is called Ziplight 1.2. You can get more info or download the plugin here on Apple's website. A great tip submitted by Paul Dibben: Using Spotlight as a calculator! Starting with Leopard, it is possible to use Spotlight as a calculator. It is much quicker than loading the dashboard and using the calculator widget. There are two arrows in Pages that makes browsing through a document very easy. The arrows are just beside the "Page 4 of 5". I like the feature a lot for a presentation, because it is much cleaner than "Page down" or "Page up" which doesn't actually goes up or down by exactly a page. It is possible to change the color of the background in Preview. I didn't really understand the point at first, but it is a great way of testing how a picture will look like on your website by setting the same color as the background of your website. 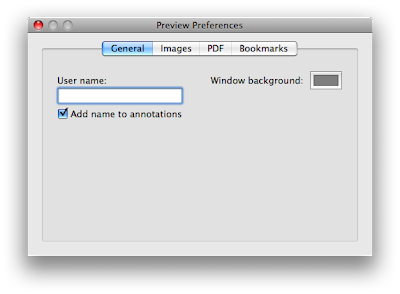 You can change it in the Preview preferences.